What Is A One Percent Biker, & Why Does It Matter In Light Of The Waco Shootings? The recent shooting in Waco, Texas, that allegedly involved two rival motorcycle gangs and left nine people dead has only contributed to the largely false idea that all bikers are violent people. In reality, there's a huge difference between what the FBI calls Outlaw Motorcycle Gangs (OMGs) and motorcycle clubs — the former are often associated with organized crime, while the latter are often just cool groups of people who like motorcycles and want to give back to their communities. Outlaw motorcycle gangs are often called one percent bikers, or "one percenters." One percent, in this case, doesn't mean the wealthiest portion of motorcyclists on the road. It actually refers to OMG members who consider themselves above the law; members of OMGs go by their own, gang-mandated laws and standards, according to The Dallas Morning News. OMGs allegedly adopted the term one percenter from a 1960s speech by the then president of the American Motorcycle Association. He said 99 percent of motorcyclists lived according to the law, according to Salon, and the one percenters are the small population that did not. According to the FBI's 2013 National Gang Report, OMGs make up only 2.5 percent of gang members in the U.S.
Strangely enough, there are motorcycle clubs who consider themselves "outlaws" and one percenters, but they swear that they are law-abiding citizens, according to Bikers Of America. These bikers say the term "one percenter" has been adopted by law enforcement to paint outlaw members as criminals. In reality, these law-abiding outlaws say they are using the older version of the term, which simply says one percenters are committed to "biking and brotherhood" — riding isn't a weekend activity for them, but a way of life. These lifestyle one percenters often compare their characterization to that of law enforcement agencies: They say there are "bad apple" criminals within one percenters, but that those bikers don't make all one percenters criminals, just like one racist police officer doesn't make all police officers racist, according to Bikers of America. Still, Greg Knox, director of the National Gang Crime Research Center in Illinois, told the Morning News that one percenters are undoubtedly criminals. He said one percenters participate in drugs, theft, prostitution, and extortion. The FBI's gang report also says one percenters are also usually tied to organized crime rings. The most notable OMGs include include the Hells Angels, Mongols, Outlaws, Sons of Silence, and the Bandidos, according to Salon. We may not live by the rules of society, but we do live by its laws. If you think about it critically, one percenters are supposed to make up a small portion of biker clubs around the world. And lifestyle one percenters say that criminal outlaws make up a small majority of one percenters. So, that should mean that motorcycle gangs who commit crime make up an even smaller amount of the overall population, which is great. But, regardless of who one percenters really include, OMGs (who the FBI calls one percenters) are having a big enough impact that they're hurting the image of all bikers. The FBI's report found that 11 percent of government respondents reported that OMGs were the most violent gang type in their areas. 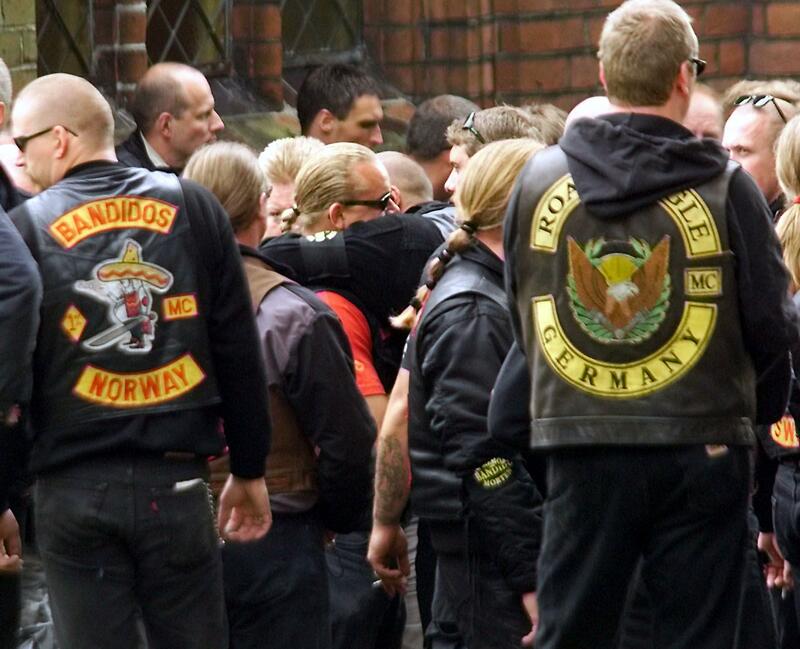 All five of the major white supremacist movements in the United States — neo-Nazis, racist skinheads, Ku Klux Klan groups, racist prison gangs, and Christian Identity groups — have developed noteworthy ties to the biker subculture. There is a significant overlap between elements of the biker subculture and elements of white supremacist subcultures, including shared symbology, shared slang and language, and in some cases shared dress. The ADL doesn't use the description "one percenter" in its article, but it does use the FBI's descriptor "outlaw motorcycle gang." The jury is still out on whether all one percenters are criminals, but the point is that criminal bikers make up a small portion of all motorcycle clubs.